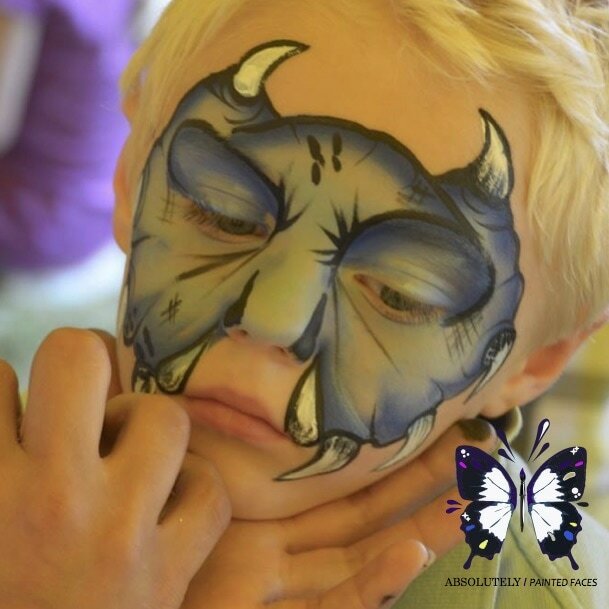 Absolutely Painted Faces have been providing face painting since 2011 to the Bristol, Bath and Somerset areas. It has been a fun and wonderful journey and we have met some truly talented and inspirational painters and entertainers along the way. We are so proud of our amazing team and all the work they do that we would like to introduce you to them. 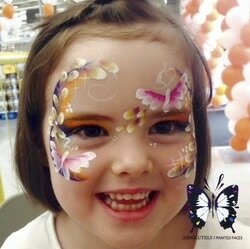 Suzanna is the founder of Absolutely Painted Faces. Qualified with 2 A Levels in Fine Art and Arts and Crafts, GNVQ Advanced Art and Design and a BA (hons) in Fashion Design. Suzanna left fashion design after 10 years to persue a different career and set up Absolutely Painted Faces, over the years the company has grown to now have a large team of talented peeps! Her story and success has been featured on BBC Radio Bristol. 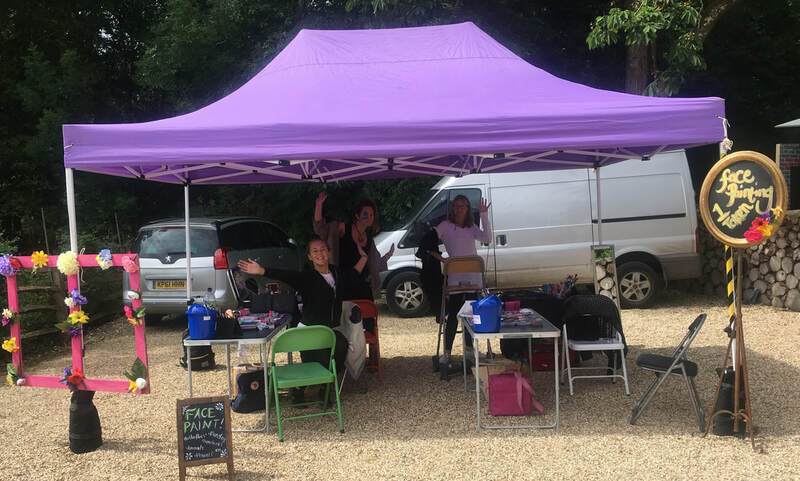 Fay started face painting professionally 3 years ago and has been a member of the Ab Fab team since 2015, she is an absolute wizard with a paintbrush and incredibly talented. Fay has an A level in Art and is a very creative painter, often working free hand from no portfolio. Fay can create stunning artworks from intricate butterflies to Superheroes. Scarlett is very creative and has an A-level in Art and Design she has been painting with AbFab since Summer 2017. 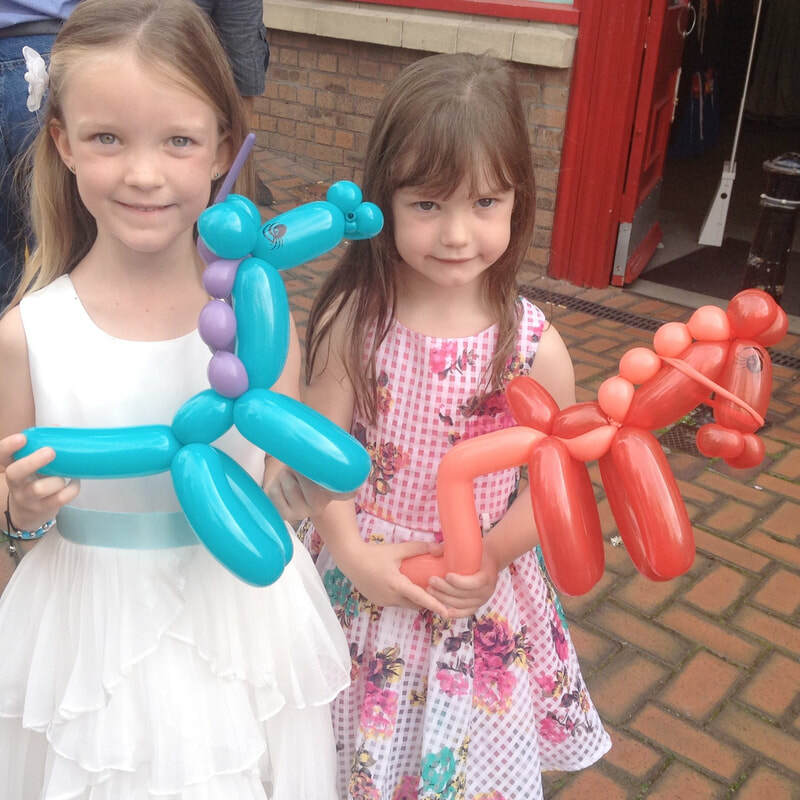 Scarlett can also offer Disney Princess or Flower Fairy themed birthday parties, including activities such as party games, wish granting, storytelling, arts and crafts, face painting and live music. If you think this may be of interest to you do get in touch, she’s very flexible and happy to customise events depending on your requirements, age range and numbers of guests. Lena started working with AbFab in 2016, and is currently studying Creative Product Design at UWE in Bristol. Lena is also training to be a Steiner Teacher, she loves children and always enjoys seeing their faces light up when they look in the mirror for the first times and see their transformation! Lena is also a very talented balloon twister, she can create everything you could wish for, from motorcycles and guitars to flowers and turtles. Lena can also do bubble parties and plays the harp. 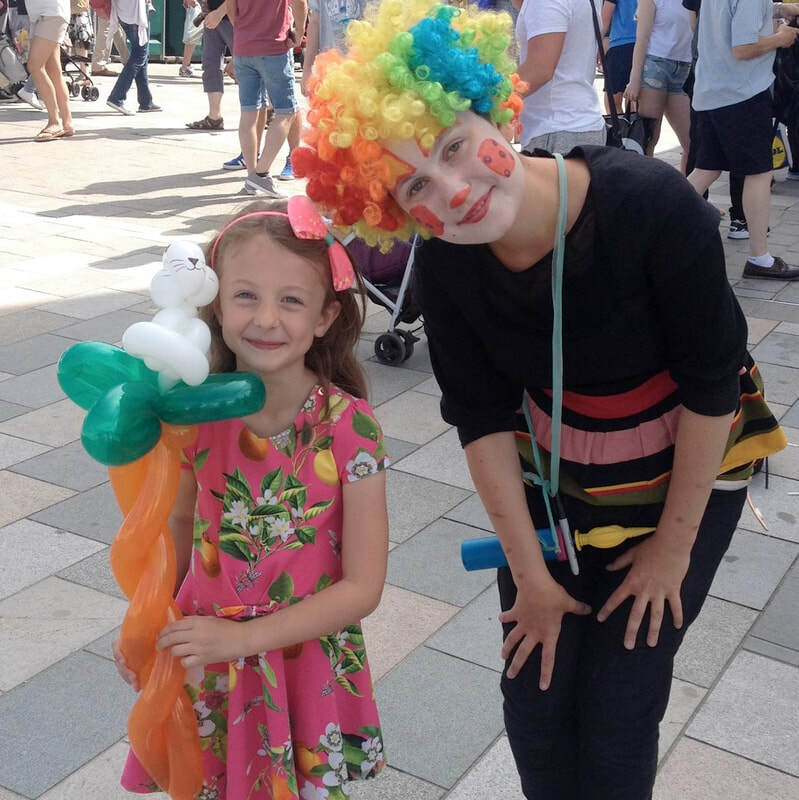 Amanda has been with the Ab Fab team since 2015 she has been face painting since 2009 and has an A level in Art. Amanda is able to offer an array of talents from glitter and metallic tattoos, air brushing and hair braiding. An exciting, member of the team and a true talent. Louiza has been with the Ab Fab team as a freelance artist since 2014, Louiza worked as a makeup artist and Theatrical painter for 12 years and is qualified as a makeup artist and nail technician. Louiza also specialises in special effects, henna, airbrushing, glitter tattoos, body painting and can also offer balloon modelling... There's not much Lou can't do! Beautiful Flora has been with Ab Fab since 2014 she is a wonderful person and glows with happy energy! Flora studied Art at Camberwell College in London and then went on to be trained by Absolutely Painted Faces in face painting and body art. 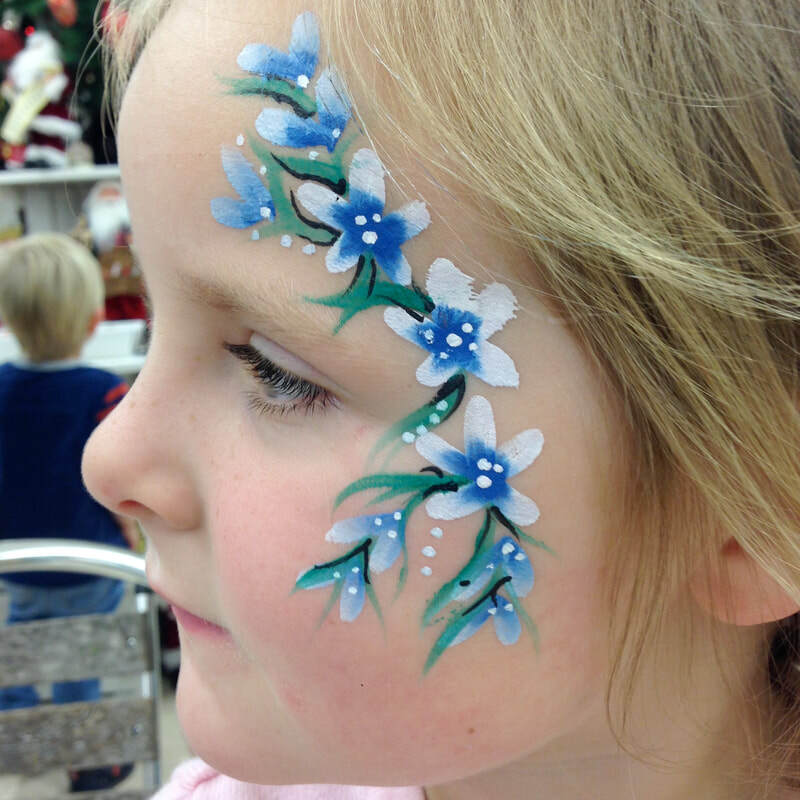 Flora is well qualified with a natural flair for art and is now an accomplished face painter. Sarah is our longest standing team member and has been with us since the start! Qualified in textile design for interiors Sarah specialised in Printed fabrics and wallpapers. Sarah has a lovely feminine style and her favourite face designs are the festival floral ones, however Sarah can put her talent to any design from aliens to monsters, Sarah also trained with Ab Fab! Sarah is now also offering Bio Glitter art for festivals and parties. 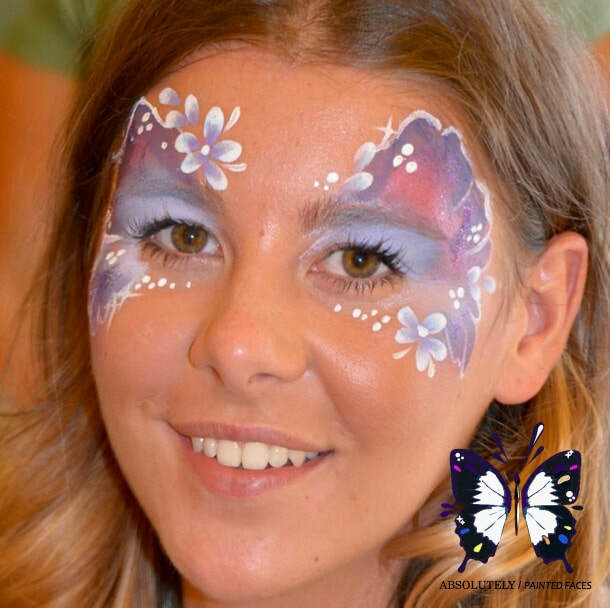 Holly is incredibaly talented and began face painting at festivals at age 14, bit by the bug she then sought professional training in 2013 with Face-Off Painters in London and then in 2015 joined the Ab Fab team in Bristol. Holly has a very versatile style and is happy painting at all events from children's birthdays to nightclubs. Holly's work is both beautiful and stylish! 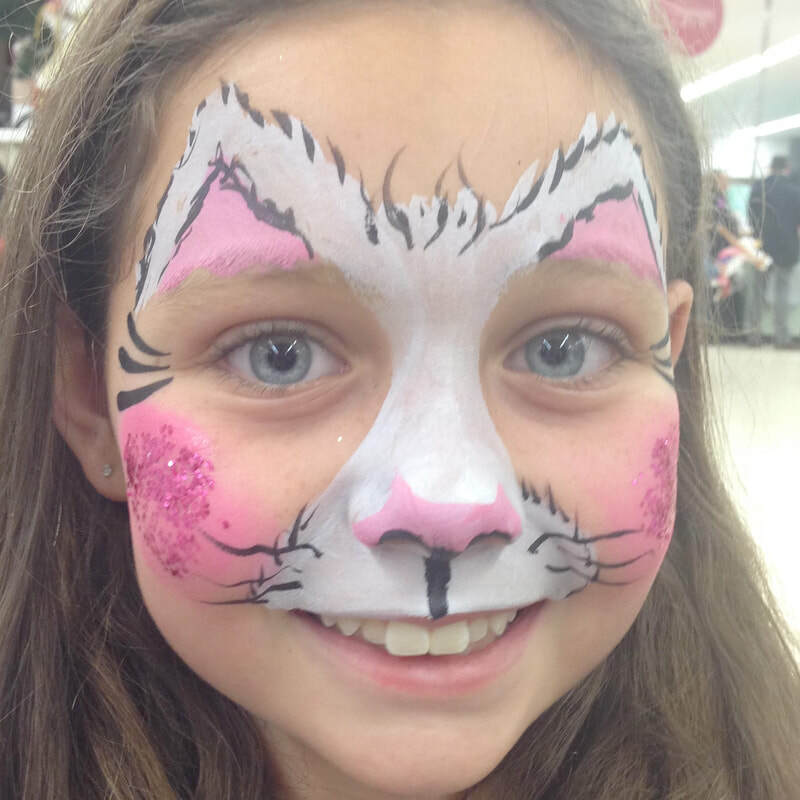 Lucy has been with Absolutely Painted Faces offering amazing balloons since 2015. From butterflies to aliens, from outer space or even mermaids. You can wear them, play with them or just admire them. Lucy is mad about balloons!!! 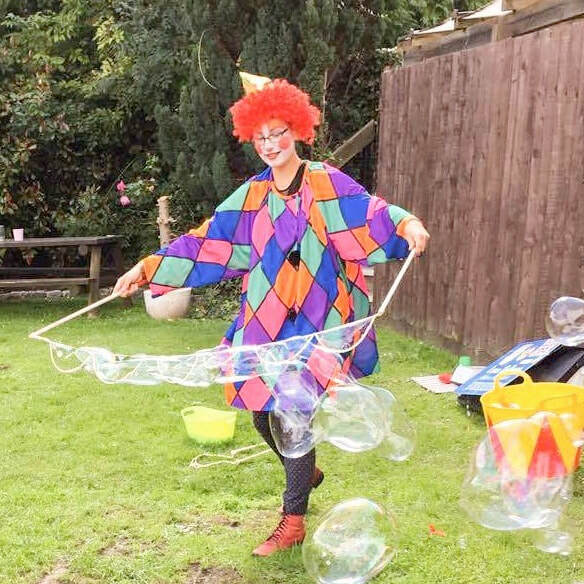 Lucy has 15 years spent as a circus and theatre performer, you not only get a professional balloon modeller but you also get a touch of magic too. 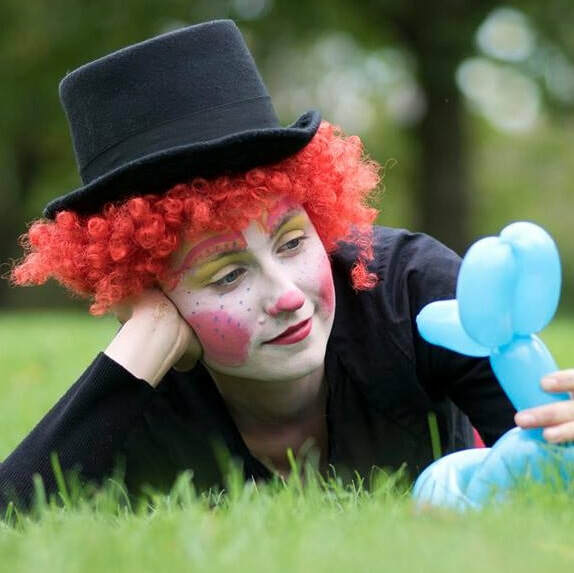 Nina has been with Absolutely Painted Faces since 2015, Nina has a love of all things dramatic and is currently finishing her second diploma in circus and physical theatre performance. 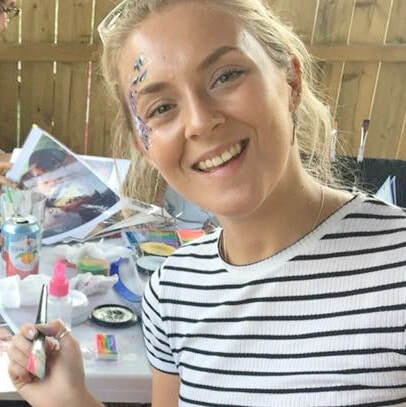 Nina brings great energy to her painting with a vibrant and fun style, self taught with a natural talent Nina then got her face painting training with Suzanna at Ab Fab. 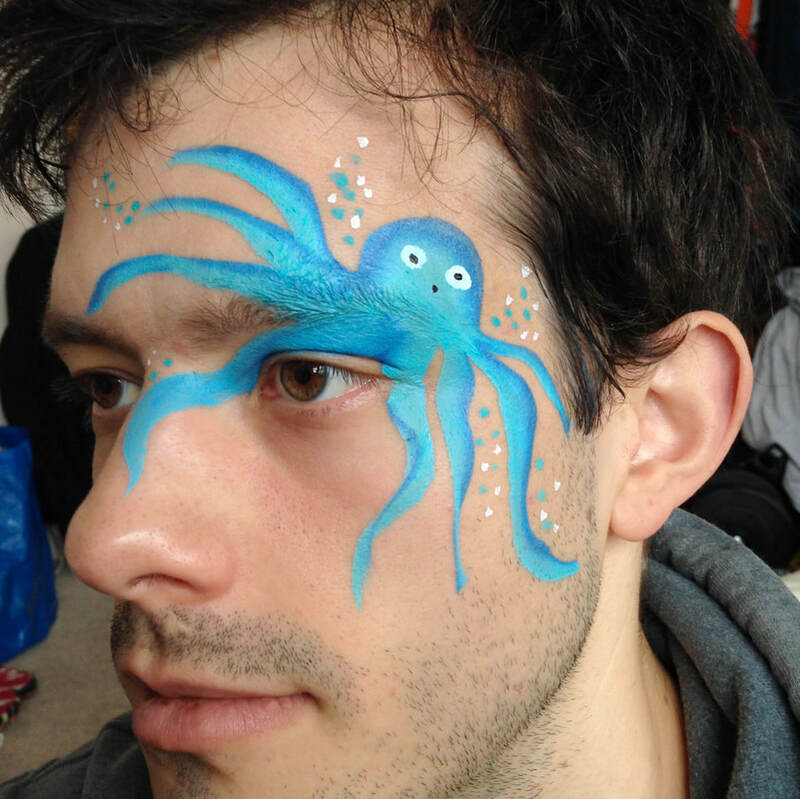 Peter has been face painting for many years and has trained exclusively with Ab Fab, he is super creative and very theatrical too. Peter has just returned from Italy where he also studdied circus performance. 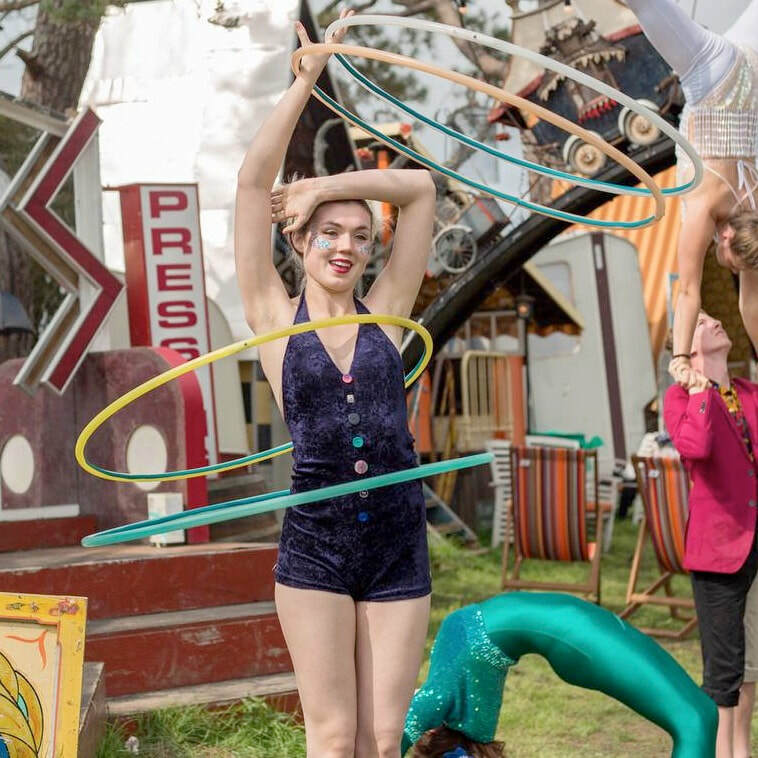 His hulla-hooping skills are second to none! !